Within Teamwork Desk, you can use markdown to format your email replies and Help Docs pages, rather than the default WYSIWYG (what you see is what you get) editor as HTML. [using markdown](http://commonmark.org/help/) would display as using markdown. To enable markdown, go to your profile icon in the top right of your Desk navigation bar and choose Settings from the dropdown. In the settings area, go to the Company tab and select Edit Company from the left pane. Scroll to the bottom of the page and you will see an option to change the text editor preference. Choose Markdown from the dropdown. 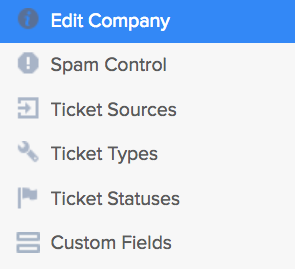 For emails, the *default* for new users can be set in the company settings. In addition, every user sets their personal preference in their profile. Changing the company setting will not change the setting for any individual existing users it will just be the default for new users. Canned responses, auto replies, etc. are always in HTML.